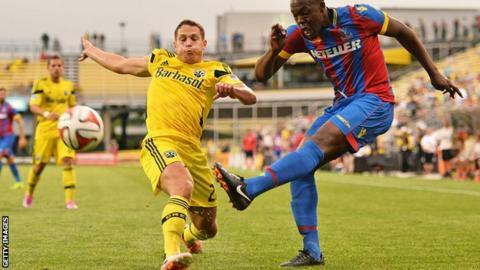 League One newcomers Burton Albion have signed defender Jerome Binnom-Williams on a season-long loan from Premier League side Crystal Palace. The 20-year-old, who signed a two-year contract with the Eagles this summer, is primarily a left-back but can also play as a centre-back. Binnom-Williams has only played two League Cup games for Palace. But he has first-team league experience during loan spells with Forest Green and Southend United. He said: "I'm pleased to come to Burton Albion and hopefully get some game time, which is what I need."